Another day, another awards show slayed by everyone’s favorite antihero, Kratos. After winning multiple game of the year awards across multiple outlets (including here on PlayStation LifeStyle), you’d think the former Greek turned Norse had collected all of his winnings and gone home. But you’d be wrong! He took home a major award at GDC 2019: Game of the Year. 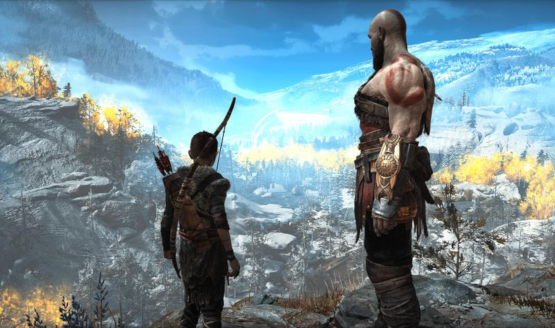 Yes,God of War took home the top honor, winning Game of the Year. Much like our own list, the competition was especially fierce this year. Other nominees included the behemoth Red Dead Redemption 2 from Rockstar Games, the picture-perfect Marvel’s Spider-Man from Insomniac Games, the charming Celeste by Matt Makes Games, and the hyper-stylized Return of the Obra Dinn by 3909. This was a diverse roster, but Sony Santa Monica ultimately came out on top. Other notable categories and winners this year included Naughty Dog alum Amy Hennig, who took home a Lifetime Achievement Award, and Rieko Kodama, who received the Pioneer Award (formerly known as the First Penguin award) for her innovative work at Sega. Mobile game Florence, which explored love at younger stages of life, won two awards: Best Debut and Best Mobile Game. Likely surprising few, developer Beat Games’ Beat Saber won awards for Best VR/AR Game, as well as the Audience Award. Rockstar Games wasn’t shut out, however, and won Best Technology for the excellent Red Dead Redemption 2. The aforementioned Return of Obra Dinn won Best Narrative, while Celeste took home Best Audio. Turn-based strategy game Into the Breach, by Subset Games, won Best Design. (It’s a shame it’s not on the PS4.) Nintendo made waves with the Nintendo Labo system of cardboard-based peripherals for the Switch, and it earned the company the Innovation Award. Finally, Gris, an indie platformer by Nomada Studio, won Best Visual Art—another game the PS4 missed out on. Did you feel the winners deserved their awards? Whether you agree or not, one thing is clear: 2018 was an incredibly strong years for gamers, no matter the platform or genre. Now, can we please get on with 2019?